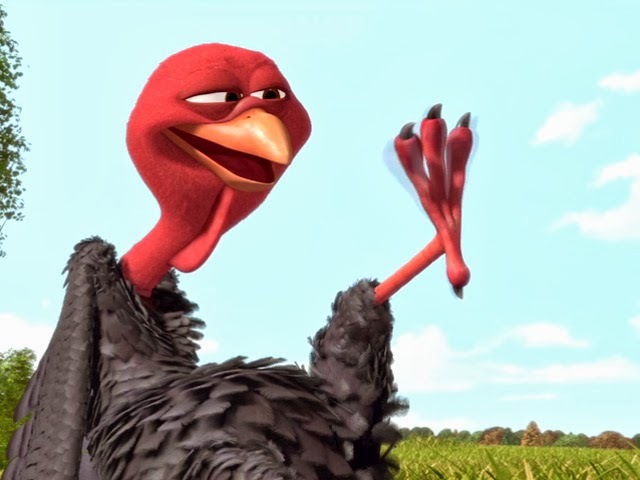 Reggie the turkey has been skeptical of farmers for a long time. But on the whole farm, Reggie is the only turkey who doesn’t blindly accept the farmers’ corn as a free gift. Because of his eccentricity (and perhaps also because of his scrawniness), Reggie is excluded from his community (see Turbo and Ratatouille). Good fortune finds Reggie, though, and he is selected by the President of the United States to be the pardoned turkey. He enjoys his newfound life of luxury for a short while, but is quickly kidnapped by Jake, who has come to take Reggie to the past in order to stop turkey from becoming a Thanksgiving staple. There’s no real connection to adoption in Free Birds, but there are themes of the importance of babies; a group of eggs are rescued from disaster by a team made up of some relatives and some non-relatives. Characters do eventually learn the importance of depending on – and being dependable for – others. As a very young bird, Jake’s mother helps him escape from a factory farm. The expectations of the whole clan of birds rest on his shoulders – to build a better future. Jake is heroic, but some kids might resonate too closely with being given adult-sized expectations. 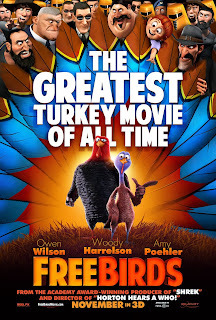 There’s not a lot of meat on these bones (get it… It’s a turkey movie… Oh, never mind…) Free Birds is inoffensive, but it doesn’t really do much in the way of communicating a deeper meaning. 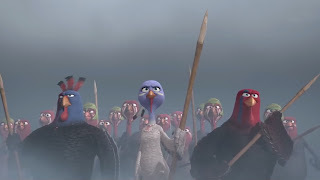 I know it’s a kids’ movie, but, the best kids movies often do have some depth. I feel like this one doesn’t. 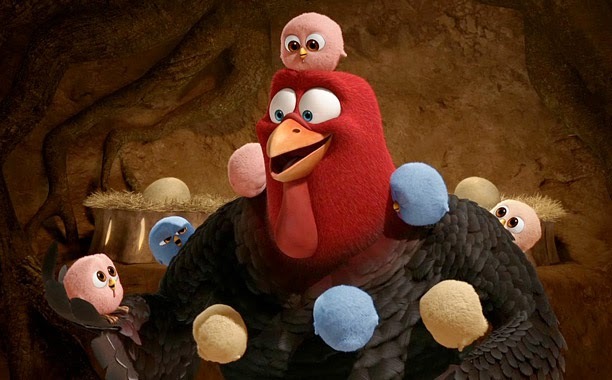 Nothing in it seems likely to be traumatic, though, so if your kids want to watch a turkey-themed movie at Thanksgiving, it’s not a bad choice. But kids any older than 8 or 9 will probably be bored. 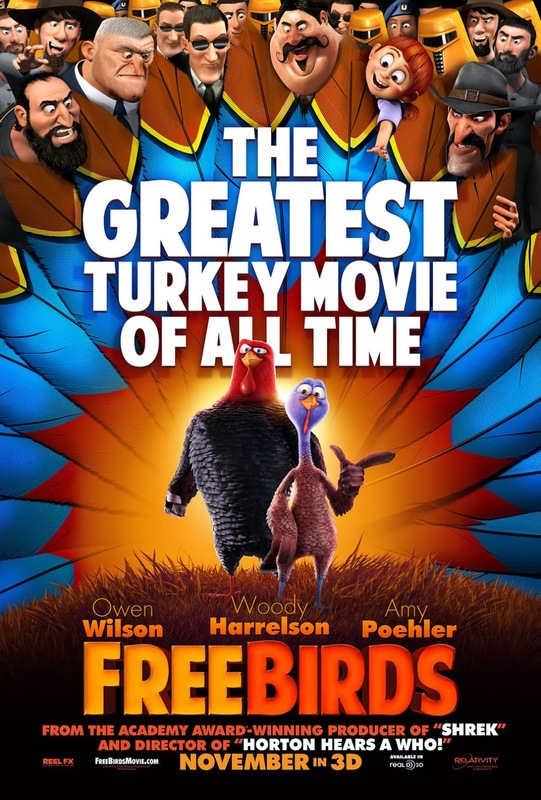 Happy Thanksgiving from Adoption at the Movies!